Arizona has always been known for their five C’s: cotton, citrus, copper, cattle and climate. While Arizona boasts the dry,warm climate of the summer months, cooler temperatures in the northern climates are a wonderful escape. The other “C” that Arizona offers is the corn, as in sweet corn! 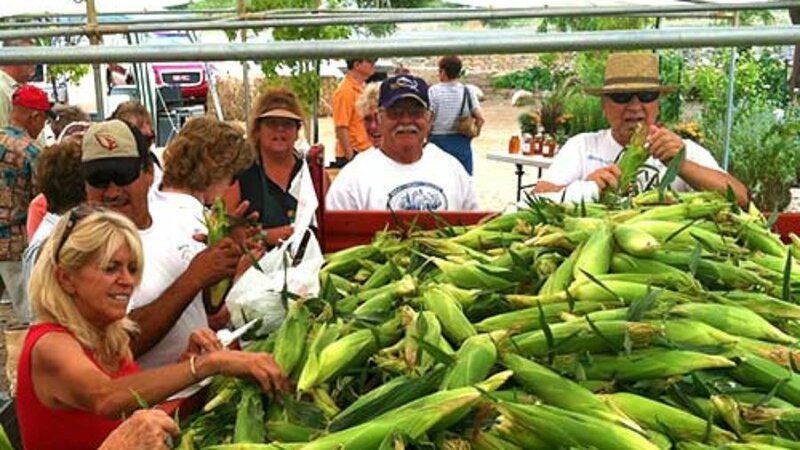 In the town of Dewey, Arizona right outside of Prescott this welcoming community hosts the annual Arizona Sweet Corn Festival at Mortimer Farms every summer. The last two weekends, Saturday and Sunday, in August will be the grand celebration of the the sweet corn festival on the farm. Loaded with corn, fun, rides and more, this is sure to be a great way to escape the heat and enjoy fun with the family. August 22, 23, 29, and 30 are the days to head out to the farm to take a hay ride where you can pick your own corn right off the stalk. 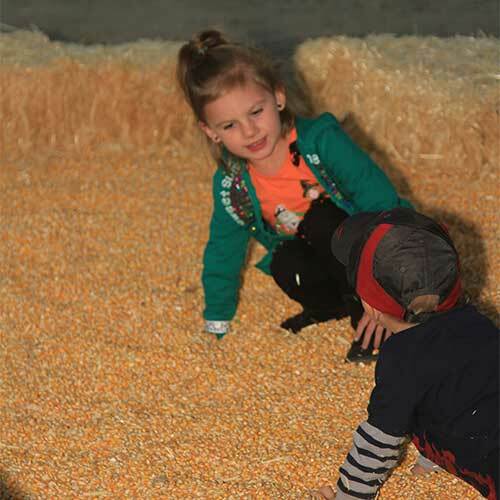 Kids can play in the corn bath, run through the corn maze, and play with some of the farm animals in the petting zoo. Parents can enjoy the cooler climate, live music, dancing and fresh produce. Craft vendors will be on site as well for additional shopping. The fun and entertainment doesn’t stop there Mortimer Farms also hosts the Pumpkin Festival every weekend through the entire month of October with admission of $15 per person, children under three(3) are free and everyone in the family can pick their own pumpkin to take home. From Phoenix, the farm is just a short drive up Interstate 17. Mortimer Farms is on SE corner of Arizona Highway 69 and 169 in Dewey Arizona, just outside of Prescott. Meet Farmer Buzz on a hayride tour of the farm. Admission is $10.00 per person and children under 3 FREE. Take advantage of the horseback rides and fresh picked farm food as part of your experience at the Arizona Sweet Corn Festival. We cannot wait to take the kids out to enjoy the cooler weather and fun out on the farm. Makes for a great stay-cation style adventure with the quick trip up the mountain with plenty of fun and activities. We might be able to squeeze in a Jeep run while we are at it. So if you are looking for some fun these next weekends to help beat the heat, come join in on the fun at Mortimer Farms. Enjoy Arizona’s other “C” at the Arizona Sweet Corn Festival in Dewey. For More Information visit http://mortimerfamilyfarms.com/. Oh those were the days. I remember going out to the pick-your-own corn fields with my dad where I think we ate more corn right off the stalk than had in our baskets! We spent many summers in Iowa picking sweet corn, shucking and eating. Then chasing each other through barns and tractor rides….I miss those days. Simpler days, simpler times. Makes me yearn for my own farm.